Honoring the Swedish heritage of this small village along Scenic Route 6, the Mt. 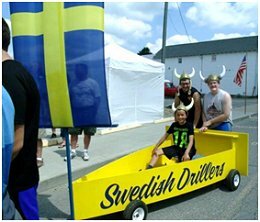 Jewett Swedish Festival is scheduled annually for the second weekend of August, in Mt. Jewett, Pennsylvania. This three day community wide festival includes Swedish Smorgasbord, carnival rides, traditional Maypole Dance, Folk Band & Swedish Dancers, contests, parades, and fireworks. Entertainment includes live music at the Heritage Park Gazebo, the Prince & Princess Contest, and the Swedish Meatball Contest. The traditional parade along Main Street will begin at 5 pm on Saturday, followed by the Jr. King & Queen Contest. Fireworks will start at 9:30 pm. Kids will love the Viking Ship Races, Pet & Bike parade, rides, and kids dance party. 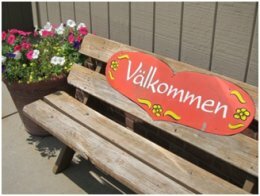 Don’t miss the Swedish Smorgasbord or the Maypole Dance in Swede Home, Mt. Jewett. Annually every second weekend in August.